For all those who have commitment issues or are new to the back catalog of our humble label, here's an intro course into the wonderful world of the Deadstring Brothers. 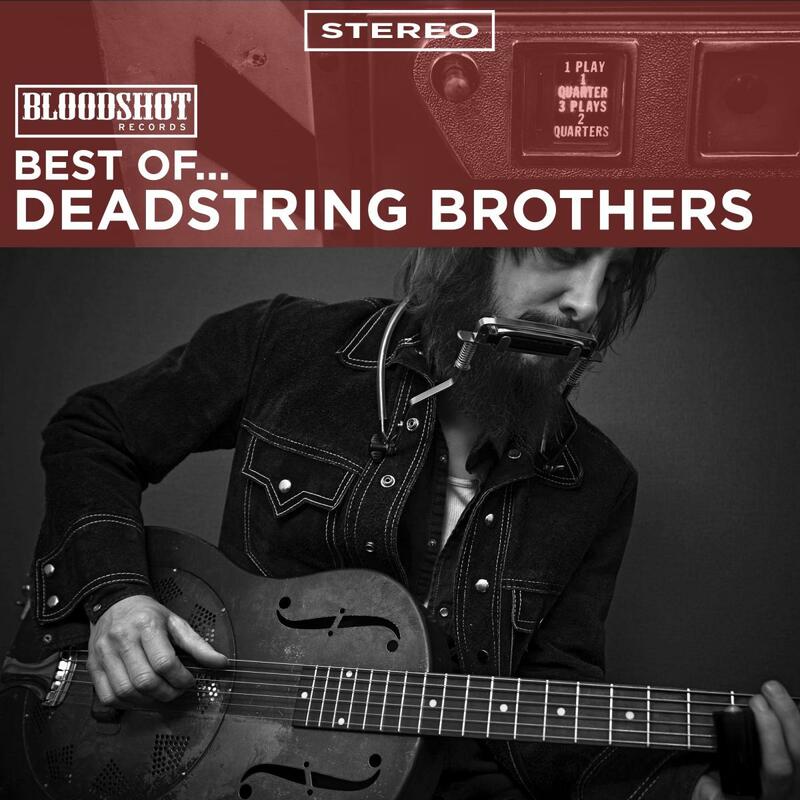 For all those who have commitment issues or are new to the back catalog of our humble label, here's an intro course into the wonderful world of the Deadstring Brothers. Once you're done here, be sure to check out other artist's best of digi-albums to get the full Bloodshot experience. From the classic rock echoes that hang heavy like the reefer smoke in the rafters of Detroit's Cobo Hall, to the soul reflected in the alleys and small faces of London's Heavy Load scene to the exile off Main Street, or sweating buckets at a Muscle Shoals recording session in the 70's or kicking a musician-in-the-round session at a Nashville watering hole, few bands channel the sonic groove generated at the headwaters of our rock and roll DNA like Deadstring Brothers. They know that rock and roll is both disease and redemption, penalty and reward, intoxicant and hangover. They know that a powerhouse hook exhilarates even as you're getting kicked in the heart. The Brothers, in their leather boots and frayed jeans, tenaciously trudge through the oil slick puddles of a dying city, the hard light splitting into prismatic rainbows, finding beauty in decay. Fronted by guitarist/vocalist and studio magician Kurt Marschke, the Brothers pound out a sound that, in comparison to so much lo-fi indie rock, is full and rich and sounds GREAT blasting out your car window. Deadstring Brothers, "Meet Me Down At Heavy Load"
10 years after their last album, RH & the MB still have the wit and the wisdom, the sadness and the spark, of the finest top shelf honky tonk.